The right paper makes all the difference. Order a swatch kit to see for yourself. Get it right on the first try—no cost to book-makers! Before you make your book, order a swatch kit for . You'll get a promo code that lets you apply the cost of the swatch kit (minus any applicable taxes and shipping) toward your book purchase. 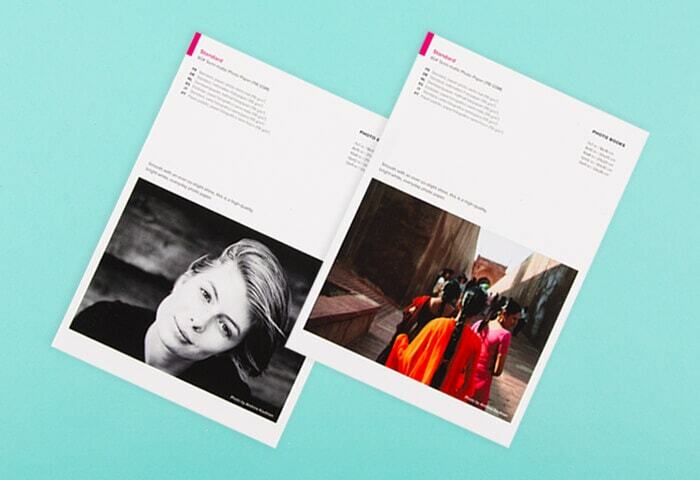 "When I was designing my first Blurb book, I wanted some way of experiencing both the paper's tactile qualities and how the photos would look when printed. This new swatch kit takes the guesswork out of the process." *A discount equal to the value of the Swatch Kit order total (excluding sales tax and shipping where applicable) is applied to your order. This Swatch Kit offer can be redeemed only once per account regardless of how many Swatch Kits are purchased. This offer is good for one-time use, and cannot be combined with other promotional codes, gift cards, or used for adjustments on previous orders.